Successfully Added Underwater Fishing Camera - 1/3 Inch CMOS, 7 Inch LCD Screen, Protective Carry Case, 12 LED Lights, 15 Meter Depths to your Shopping Cart. 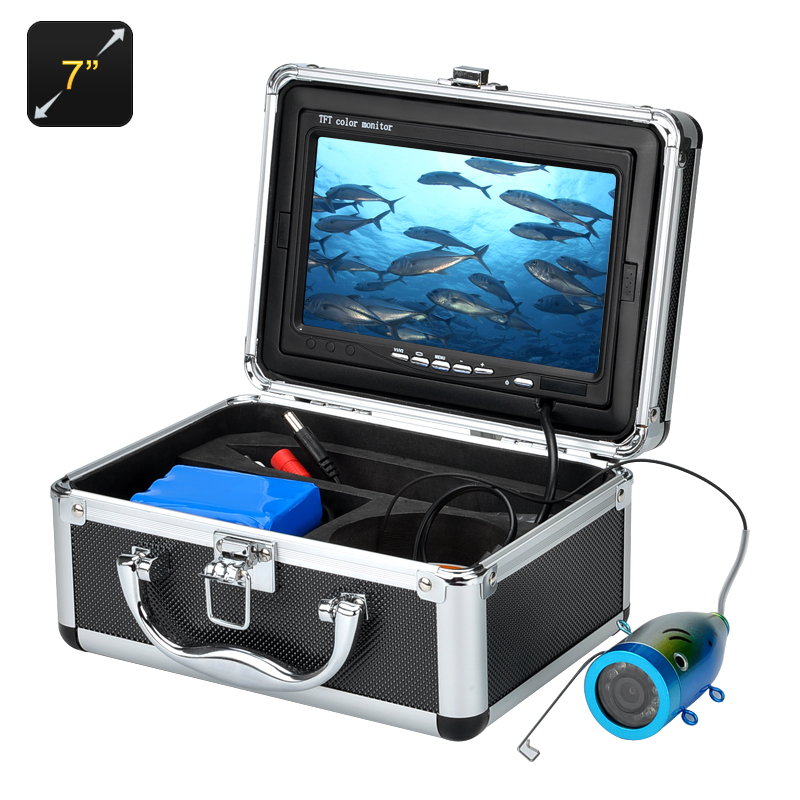 With this modern underwater fishing camera you can watch live footage of everything happening at the end of your line on a 7 inch screen. It's the easiest way to take a closer look at the underwater world without donning your diving gear and allows anglers to determine if that sonar signal is a monster school of fish, a log or prize winning catch. This portable fishing camera is the best tool around when it comes to ice fishing and open water fishing, not only will it let you locate the elusive fish your after but it will provide a wealth of information, such as how they react to your rig and whether you have the correct bait on your hook. This professional fishing camera has a 15 meter cable giving you plenty of water to work in. It has a 1/3 inch CMOS sensor and 92 degree viewing angle so you can capture a highly detailed view of the depths. This anglers aid will bring real time footage to the 7 inch LCD display and with 12 built in LEDs and a bright screen and built in sun shade you can use it night or day. Housed inside a strong protective carry case this portable fishing camera has a 4500mAh battery for up to 6 hours of usage time, it will make a fine addition to any kit and help turn every trip into a success. This Underwater Fishing Camera comes with a 12 months warranty, brought to you by the leader in electronic devices as well as wholesale fishing gear..